Discussion in 'Headphones' started by Zhanming057, Dec 31, 2018. Zhanming057 Wow, I made it this far without being a friend? They sounded pretty good to me, but I'm a terrible critical listener. I am a little skeptical about these "one-off" designs that made it into production, but I'm happy to give the benefit of the doubt. Beside the K1000 and the two pairs I have, they seem to be the only other fully open design on the market, and I would love to hear one. Any idea whether Kurada would ship out a loaner for review? Overkill Red and Garuspik like this. I guess I should say a couple words about the production version, now that they've arrived. They come in a extraordinarily large and heavy Pelican case. Opinions might differ but I like the Pelican's functionality over a presentation box. The case is so sturdy that I wouldn't hesitate to check it on a flight. Comfort is a massive improvement from the (already pretty nice to wear) prototypes. The headband was tweaked and now it feels just right, as if it actually wants to stay on your head. The headband and "security" strap have both been lengthened, a point I brought up a couple times with Danny. The extra length is great because you can buy a hole punch yourself and customize the length of the straps as needed. Both parts (along with just about everything on the headphone) is user-replaceable. I do a bit of leather work myself and I definitely want to explore the idea of making my own headband. Not that there's anything wrong with the one from Raal, but it would be pretty cool to have a real Cordovan leather strap for these. Your impressions are tempting me to try out the headphone, but man, the $3000 Benchmark ABH2 was the baseline minimum they used to power it. Is there nothing under $1,500 that can do them justice? Power-wise these will be just fine on any amp with more than 150w at 4 ohms. You don't need a super-amp for them, but of course they'll benefit from better amps. The AHB2 is simply what they used to do most of the development for the SR1A and just about has enough power for them, nothing more . I've had reasonably good experiences with the SR1A's with the NAD C368 (be careful about the ungrounded negative speaker taps though), the Hegel H190, and the Peachtree Nova 300. All three are less than $2,000 used and the C368 is ~$600 used. The idea behind the SR1A's is that they're first and foremost a production tool for high-end recording studios, that also happen to be excellent audiophile headphones. And studios will be putting them on all sorts of stage and professional-use amps, some of which are going to be pretty cheap. The headphones are arguably less sensitive to poor amps than regular cans, feed them enough watts and they won't complain much. 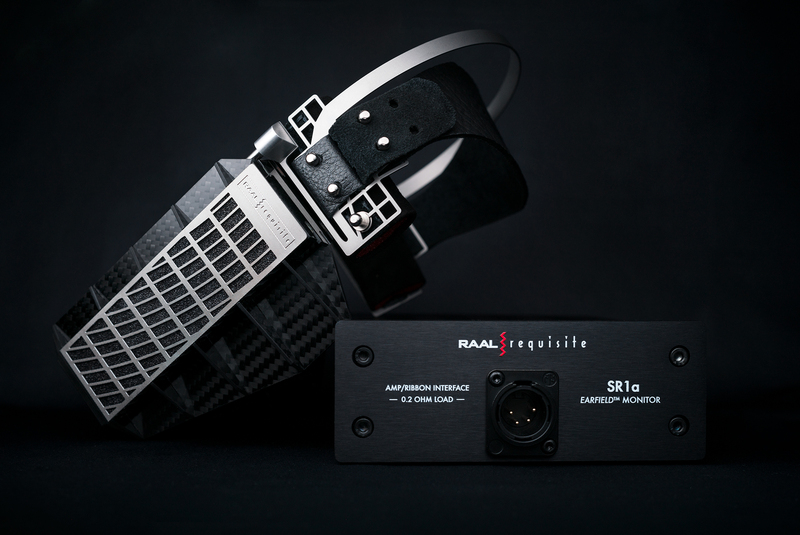 Suggest for your consideration, a candidate amp for driving the RAAL SR1As. Stereo amp utilizes the compact class-D Hypex NCore NC502MP twin Channel Module with self-contained power supply (uses usual 120/240 VAC). I currently use Hypex Ncore amps (NC400 modules, 400W 4ohms) to drive my DIY speakers using RAAL 140-15D ribbon tweeters with passive crossover. IMO, Hypex gives best sound I've heard - conclusion after having heard many different amps including high-end tubes & solid-state. In any case, RAAL ribbon treble quality is among the very best, IMO. That's a big reason why I'm interested in RAAL SR1a headphones. Hypex Ncore amps have been/are considered by many (me included) to be finest class-D available (as always, opinion is subject to debate, of course). Hypex NC502MP is Rated 2X500watts into 4 ohm loads. According to spec sheet (from spec sheet 2ohm output power graph and doing calc: (I rms = sq rt(Prms /Rload), the Hypex NC502MP outputs up to 15 amps into 2 ohms(! ), & remarkably, is unconditionally stable into a 2 ohm load. One may think that an such an amp based on the SOA NC502MP two-channel module would be very expensive, but there's an eBay seller near me here in N. New Jersey -- currently listing Hypex NCore NC502MP based amp in enclosure case with apparently good quality in/out connectors, power cord, etc. for $825 -- but can get optional upgrades, like extra $30.00 for Cardas panel mount RCAs. 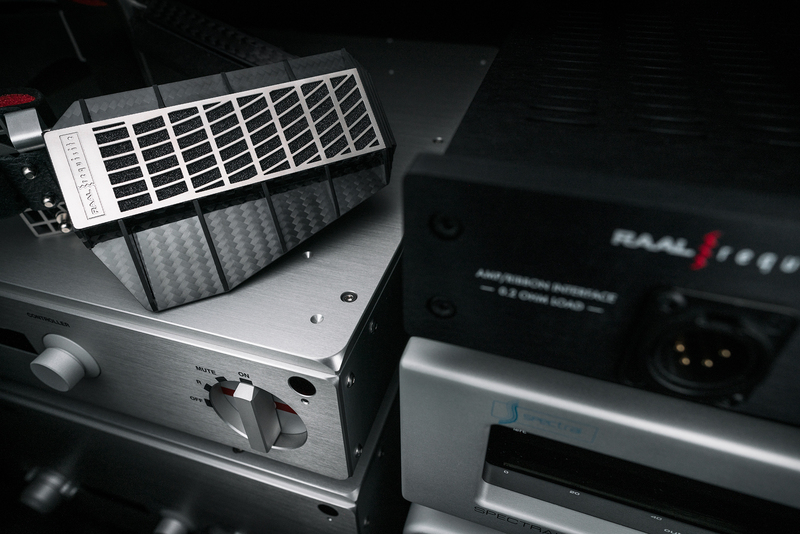 If I decide to purchase the RAAL SR1a headphones, may likely go with this amp. ...and then there's the Thrax Spartacus, which dumps out 50wpc at 8 ohms through a whopping 12 EML 300b tubes and has more current than solid states with 3-4x the rated output. And yes, the combination had a damn magical midrange. Practical? No. Do I now want one? Yes. bengo and cskippy like this. While Raal/Requisite is going to (officially) miss out on Canjam NYC due to scheduling conflicts, I've decided to bring the production version of the SR1A's to Canjam NYC and then figure it out from there. Send me a PM if you want to give these a spin - the best would be to actually give me a phone number. I'm going to give Benchmark a call tomorrow to see how they feel about me just staying for an hour or two at their booth with the SR1A's plus the AHB2+DAC3 on Saturday. They've been pretty helpful to Danny and Alex in the past and I don't want to overstay my welcome. Otherwise, maybe the Schiit booth might have a Vidar. They'll definitely have a Rag which is underpowered, but not severely so. I can't bring an amp myself, and if anyone here has anything man-portable that's powerful enough, if would be great if you can bring it over. I'm not expecting it though. I'll be around all day Sat, and Morning on Sun. I should note that this 100% my decision to help out folks here, and not related to Raal Requisite and should not be interpreted as an official event demo. Basically don't be mad at Danny or me if it doesn't work out or if my Amtrak is really late or something. I'll also have the Mysphere 3.2 with me, which should be a lot easier to actually demo on anything. Might be an easier option than the official demo session at the Woo booth. Lyer25, Garuspik, Overkill Red and 2 others like this. This thing is so weird in the most Hi-End meaning of this word. Walderstorn and Zhanming057 like this. I've updated the first post with my (quite long and extensive) full review. I reached out to Alex about measurements, and here's Alex's response about those. If he gets measurements I'll post those here as well. About the measurements, nothing that we want to publish right now. I have development measurements that are informative while you do the development, but I'm still trying to devise a proper method of measuring SR1a for publishing. I'm currently working on a line-mike that will capture the area of what the ear captures, but without ear-related nonlinearity. I'm in the camp (if it exists) that artificial ears are not needed, actually detrimental, to headphone measurements. To explain shortly, we don't measure speakers with artificial ears, yet we do listen to them with ears. Anomalies that ears make are always there, listening to anything, but for some odd reason, we use artficial ears to measure headphones only. If we would measure speakers with all of the time-domain and frequency response related nonlinearities of ears, then apply inverse compensation for it later, we wouldn't get anywhere, so those are not used to pursue perfection is speaker design. I don't really care what ears do to frequency response. They all do something, differently for everyone, but our brains know that already, so it's not my business to compensate for any of what they do. My job is to present them with a soundwave that has perfectly flat response and place it in front of them (ears). Our brains will know what to do with it. Now, artificial ears have an advantage over the microphones. They capture a sound over a much larger surface area than a mike capsule, which is basically a point, so with headphones, there are different arrival times from the middle of the diaphragm to the capsule and from the edges of the diaphragm to the capsule, as the listening distance is very small. However, I would rather solve that problem with a flat, flush mounted, microphone diaphragm the size and the shape of the ear, than use the actual 3D ear-shell and stick a point mike to where the ear-canal should be. That way, I could capture the wave over the surface area of the ear, just like the ear does, but not contaminate the measurement with ear-shell related nonlinearity, just to try to subtract it from the measurement later on. So, most probably, I will make a condenser mike that is roughly the size and shape of the ear and do some measurements with it. At this moment, I think that that will have the best chance in showing what we really hear when using headphones. Lyer25 and cskippy like this. I think the ear canal is more the problem on measurement rigs than the ears themselves. A good mic at the ear canal entrance or without a canal at all, meaning mic not shoved at the bottom of the canal where the ear drum would be, should require little compensation to get appropriate looking results. The trick then becomes figuring out which ear to use, because the pinna geometry affects the response (but not nearly as much as an ear canal, which we calibrate out if used anyway because it blatantly fucks up the results). Flat couplers offer some useful results too but are not as immediately human readable (ie flat is flat on the graph). Pros and cons either way. But compensating for an ear with canal included is a real headache through and through. Head width, shape, hair, etc also play a large role for headphones sensitive to these elements. ie an HD650 will look much bassier on my head given the width compresses everything to the point where the drivers sit incredible close to my ears. Pull them out a bit and things change noticeably, even if the seal is technically still there. Stuff like the MrSpeakers planars hate even tiny leakage of any kind, so thick, curly hair alone may be a detriment here. I think a totally bald measurement head is probably too likely to seal well to represent average hearing, on the other side of things. I suppose it’s possible things change when you work with ear speakers of this kind. I know measuring the Verum at an extreme angle, much like an ear speaker, produced results that weren’t quite what I’d expect. Perhaps using a free mic for the RAAL makes sense. My gut feeling would be you’d need a hybrid approach between that and using a pinna with a mic at the ear canal entrance. Better yet, get it in the hands of experienced listeners with no ties to the product. Have them listen and measure in various ways. They could probably figure out what looks more right in the end. Going it alone on your own product is a recipe for insanity and creating biased results as a pat on the back. You need that unaffiliated party in there. Lyer25, Serious, jexby and 1 other person like this. To an extent that's what Raal has been doing, they have some units in the wild and I'm happy to let anyone try mine. I'm not affiliated with the company, but I did get first dibs on a preproduction set and wanted to share my impressions as much as possible. There's no good solution to the human ear problem - and with the SR1A it's really complicated since sensitivity can change by entire db/w's depending on your wearing position. And then a lot of it depends on your ears since they use the outer ear to deflect sound from the front...One way or another, it's probably quite difficult to directly compare the FR of ear speakers with regular headphones - I had this discussion with Heinz Renner as well and they present multiple sensitivity numbers because of this. On my ears they sound entirely neutral, with no humps or weak parts throughout the frequency range whatsoever. But I agree, it would be nice to see some measurement by a third party on that. I have to be very, very selective about what I try these days, but the Raal is one I'm genuinely curious to get in house and play with. It's a big ask given the cost, but let some of the admins and mods know if you might be up for a very short and limited loan to a couple individuals. Totally understandable if you meant you would let anyone local try yours. I'll wait for the mk2 version before trying it. @Zhanming057 did a very good job at describing the sound signatue and I don't think It's my cup of tea just yet. allegro and Walderstorn like this. I'm okay with shipping those off, but there's kind of a line there as well, a couple friends have already asked I'm using them a fair bit these days for a new write-up, but I'm happy reach out to you guys later if you're interested in spending time with them. The preproduction pair is about two weeks away from completing it's demo tour, getting those back out to you guys might also be an option. The people who have heard my pair seem to be either "this isn't for me" or "I need to buy this now", with the latter being a slight majority. Very few guys actually on the fence. Alex and I had a conversation yesterday about a small mod to the adapter box that would dampen the treble by about 2 or 3 dB. I don't plan on doing it to my own set but it should tone down the uniquness of the signature somewhat. Will update if he sends me a mod version of the box to play around with. Walderstorn and Overkill Red like this. MrTeaRex His head's not fat, he's my brother! 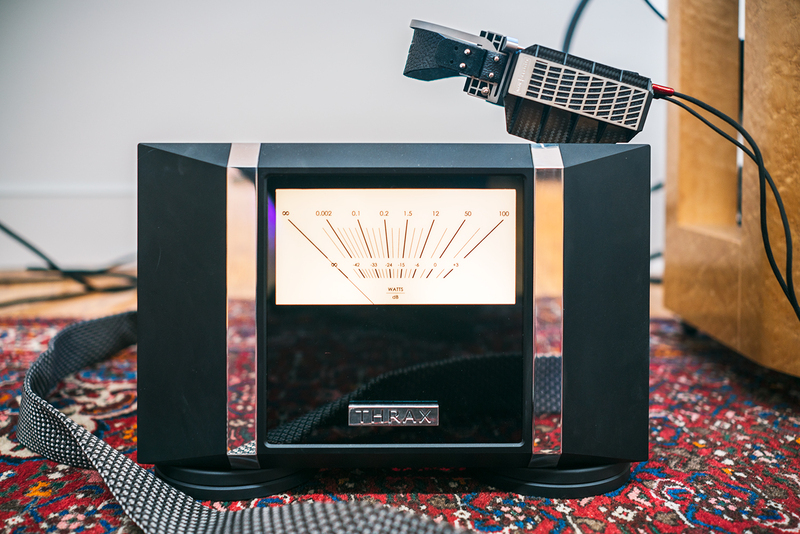 It was show conditions, but these were easily the most impressive headphones at RMAF last fall and out-shined the other flagships like the Fuckal Utopia or Hifiman HE-6-thousand-dolla. A Benchmark AHB2 was used to drive them. The bass quality surprised me the most and the treble was wasn't offensive unless you lean heavily to the warmbutt side of the fence. Not much can be determined about finer technicalities in a loud room, but there didn't appear to be any glaring deficiencies. @HitmanFluffy and @MrTie heard them with me and might be able to chime in as well. Elmer Danilovich, HitmanFluffy, Lyer25 and 7 others like this. Yep, I'm also very curious about this earspeakers. I wouldn't ask for a loan cause I'm not a potential buyer and don't want to bother manufacturer. Sure, keep us in mind for down the road if willing. Obviously no rush, nor any obligation whatsoever. He's getting a couple of the media demo units back soon, so I'll ask about the possibility of an SBAF demo tour using one of those units. I'd like to not get too deeply into the logistics, but hopefully there's enough interest to get it off the ground.